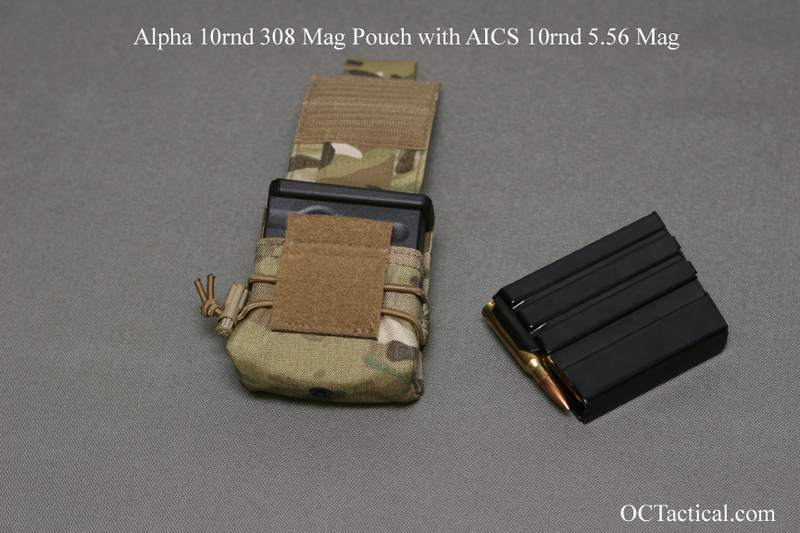 For the last couple of months I’ve been working with Chris from Alpha Industries to develop some pouches for his AICS compatible magazines. This has been one of the reasons I really haven’t been taking on many new orders. 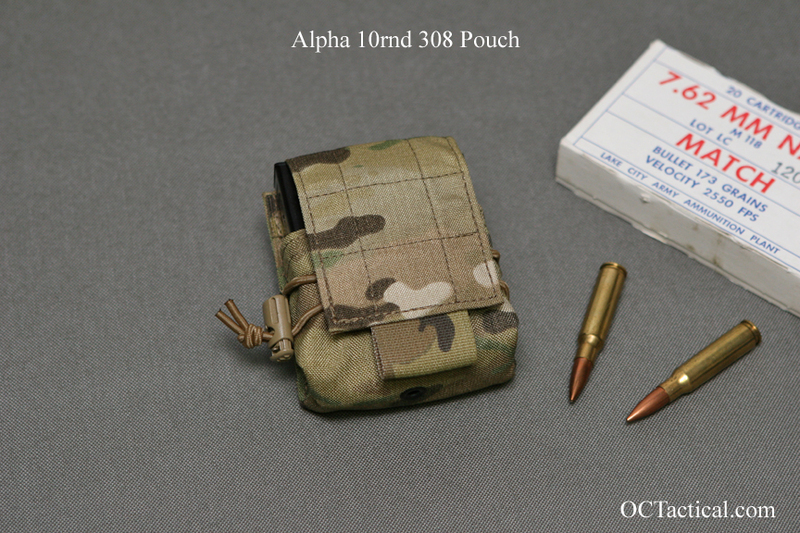 The designs for the single pouches are done and the double mag pouch designs should be finished in the next couple weeks. Samples of the pouches will be heading to Shot with Chris and were looking at being able to start taking orders and sending out pouches a week or two after the show. One thing I didn’t want to do is make a pouch like every other one on the market. 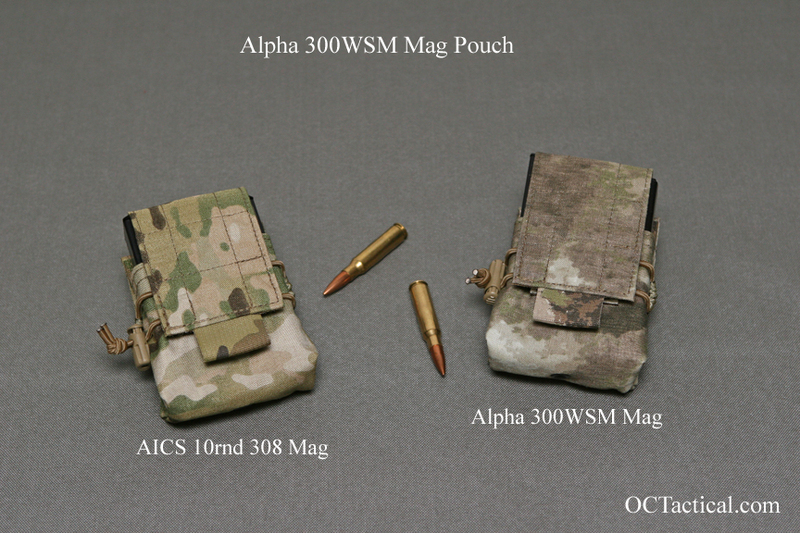 So I incorporated some features that I was using to update my standard mag pouch designs. These features are trends I’ve seen in my custom orders over the last year or so. First off was to make the design more versatile by using an adjustable/removable flap. This will allow you to use the pouches for other mags also, and help prevent needing different rigs for multiply weapon systems. Next was the use of 500D cordura without a loss in overall service life. 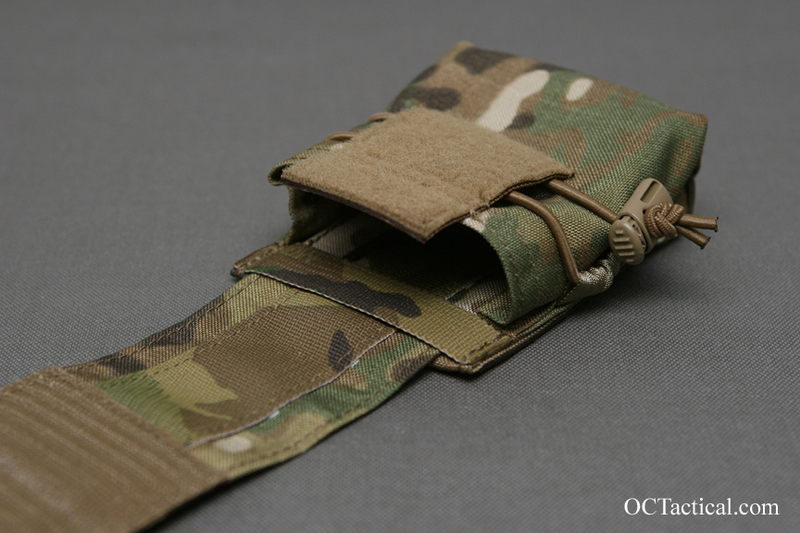 In my experience in both using and making gear the deciding factors on the service life for well constructed mag pouches regardless of the fabric were usually the velcro, plastic and metal hardware, and woven elastic. However I’ve seen plenty of single layer 500D mag pouches develop holes from abrasion in the bottom outside corners. And although I’ve personally made plenty of double layer 1000D mag pouches in the past I’ll admit that I now think its overkill and unneeded extra weight. So this meant single layer 500 and double layer 1000 were out. So over the last few months I’ve been playing with both single layer 1000 and double layer 500 pouch designs. 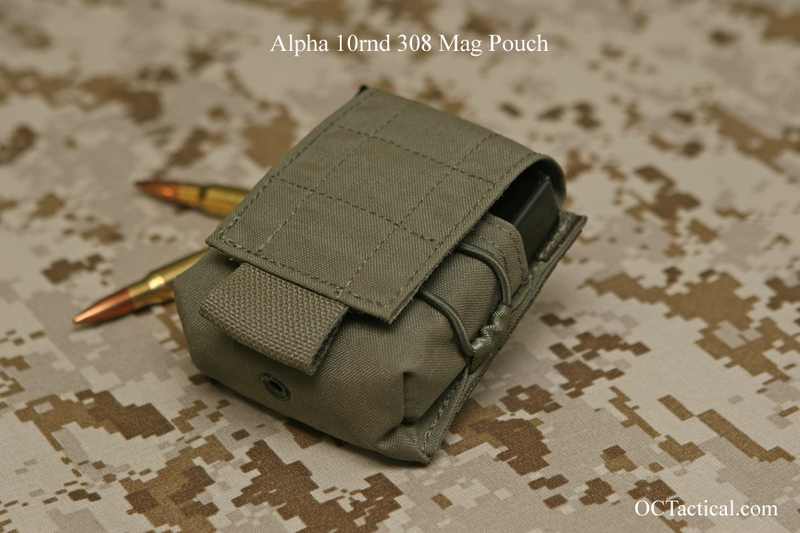 Because mag pouches tend to take more of a beating then other gear, especially if you spend a lot of time in the prone or having to low crawl long distances I opted for the double layer 500 design. Because the body is double layered it’s more durable then a single layer of 1000 yet lighter with a comparable overall service life as the same pouch using a double layer of 1000. Like my other mag pouches I went with shock cord instead of woven elastic, which is both adjustable and easily replaceable in the field. There is also a grommet in the bottom for drainage and they attach using 2 small malice clips which will be included. 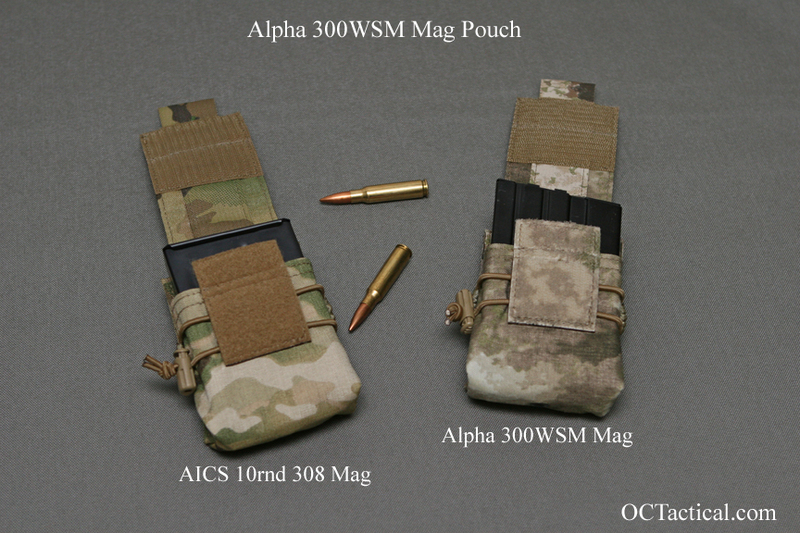 I’ve tried these pouches with several other AICS mags and found the Alpha 300WSM pouch also works great for the AICS 10rnd 308 mags and the Alpha 308 pouch works equally as well with AICS 5.56 10rnd mags.